Socrates: I trust that you enjoyed your meal. Langley: Yes very much thank you. Socrates: Then we may as well proceed where we left off. Langley: I agree, then we shall….but wait….we must remind ourselves of the question. Do you perchance remember what the question is? It would be a mistake to proceed without establishing what the question is. Don’t you agree? Langley: After all, asking the right question is perhaps the most significant part of every intellectual endeavor, at least insofar as the beginning is concerned. Langley: Is not the beginning “half the battle” or even “more than half the whole” as you Greeks like to say? Socrates: Yes it is. I have always been very fond of that saying. then I think it follows -as does the night the day- that determining what our question is once again will prove to be a very important thing indeed! Socrates: Yes. I concur completely. Our question was about the brain and whether the brain is truly the organ of thought? Langley: Excellent that is my recollection as well. And might we state the question another way – say – Do we think with our brains? Socrates: yes that would be another way of putting it. Langley: Or perhaps, as Hercule Poirot might say Is it the little grey matter that accounts for our thoughts? Langley: Or perhaps Bertie Wooster might call it the old noodle. Socrates: Very peculiar, but I think I understand. Langley: Right, and the empirical scientist who has perhaps spent years mapping the brain might ask the question a different way. Langley: Yes, he would most assuredly speak of such things as neurons, and the growth and evolution of our neural network. He would speak about cells transmitting nerve impulses through synapses and dopamine receptors and dopamine neuro- transmitters at the rate of over 268 miles per hour! but the question remains the same for the empirical scientist as it does for Bertie Wooster. Do we really think with our brains or neural networks or noodles or whatever?!? No matter how complex the explanation becomes, with increasing information about the material components of the brain, the question always remains the same! Socrates: Yes, and so we have successfully remembered the question. And now you are going to demonstrate to me that the brain is in fact the organ of thought? Langley: Yes, now as I said before this whole question is astonishingly simple to answer. Socrates: Well all the better! Please do continue. Langley: Let me ask you then, my dear friend, would you say that an injury or blow to your eye might affect your ability to see? Langley: And is that because the eye is the organ of sight? Socrates: Yes it is, we certainly do see with our eyes. Langley: Yes we do, and therefore a blow to the organ of sight will perhaps even destroy our ability to see if it is too violent. Langley: And will not an injury to the ear affect our ability to hear? Langley: Even a very loud sound or clap of thunder or some kind of explosion which occurs too near the ear might harm or even destroy the ability to hear, might it not? Socrates: Yes, this has been known to happen. 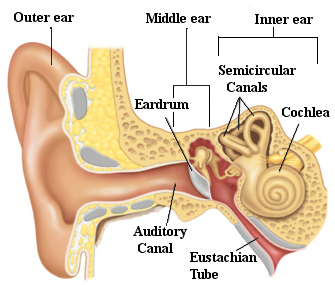 Langley: What could be clearer explanation for this than that the ear is the organ of hearing? And if we damage this organ then we will damage our hearing. Socrates: This does make sense, and I accept the explanation. Langley: Well Socrates, shall we ask these same question about the other senses as well? For example suppose we damage the nose, will this not affect our ability to smell? Langley: And is this not because the nose is the organ whereby we are able to smell? Socrates: That is the reason. Langley: Socrates, I think we are now ready to collect our conclusions. We have seen that every time the organ of some power is injured, then the power itself is also injured. This appears to lead to the conclusion that if damage to some organ affects some power, that organ must assuredly be the organ responsible for that power! Langley: Let us arrange our conclusions into an “if-then” syllogism. 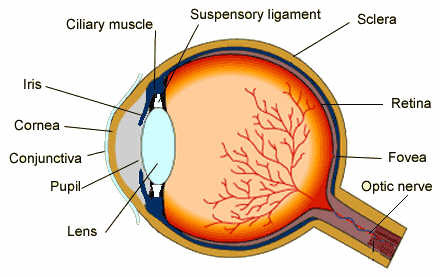 Therefore the eye is the organ of sight! Socrates: Yes that is wonderful. Let’s go ahead and talk about the ear now. Langley: I was thinking the same thing! If some blow or violence to our ear affects our hearing, then the ear is the organ of hearing. Therefore the ear is the organ of hearing! Socrates: Bravo Langley! Bravo! Your logic is compelling! The nose…The nose! If a blow to the nose (or any sort of damage) affects our smell, then the nose is the organ of smelling. But a blow to the nose does indeed affect our ability to smell! Therefore the nose is the organ whereby we smell! Socrates: Wonderful Langley! But….. what relevance does this have to our brains? Langley: This is why I said the whole matter is very simple, because the same argument can be used to prove without a doubt that the brain is the organ of thought! Socrates: Ah ha! I am beginning to perceive your meaning. Socrates: Yes Langley, but I have to admit that I am all atremble, because I think I see where this is going. Langley: Don’t worry Socrates, after you see that our thoughts (and hence philosophy itself) can be explained through the mere workings of a corporeal organ, and is not due to some mystical ethereal and incorporeal substance, you will recover from the shock in a shorter time than you think- and will then perhaps turn your life’s pursuits towards the acquisition of more tangible rewards! Socrates: If our thinking does turn out to be the work of a completely corporeal organ, then indeed we will lose a significant reason for thinking that man is anything but a corporeal being! Langley: Yes Socrates, that is true…but perhaps we can just rely on faith. For as the Faith teaches us, man is composed of a body and a soul. Socrates: Well, I suppose it does. But one would think that your faith had something to do with your reason. Socrates: Yes….. bring on the if-then syllogism. I am well braced now. Langley: I will state it one premise at a time to lessen the shock. Langley: Ok, then here goes! If a blow to the brain affects our thinking, then the brain is the organ of thought! Langley: now for the second premise. 2. But a blow to the brain DOES affect our thinking. Socrates: Yes it really does appear that way…..undeniable. Langley: Therefore the brain is the organ of thought! Socrates: I am reeling….I think I might faint! Langley: Steady Socrates…steady I’ve got you…..sit down right here in this cushioned chair. Socrates: Thank you…….. There I think I’ve recovered Langley. What a compelling argument that appears to be. I would guess that this is the very same argument that must sway the minds of the many- no wonder that the mind appears to be no more than the physical brain itself. Just as Seeing and hearing, no matter how incorporeal or immaterial the actions might feel, are in the end nothing more than complex physical behaviors of bodily organs-so, I suppose, one might think that thinking is nothing substantially different although admittedly far more complex even than these! Your argument appears to carry everything before it with inexorable power. Who is there to deny it? Where is the fault in your reasoning? But we must gather our wits about us before we admit that thinking is nothing more than an action performed by the brain and therefore reducible to the actions of electrical impulses. Langley: Well Socrates, I just remembered something that I have to do. Maybe another time. Socrates: What? You are going to leave without allowing for a sufficient cross examination? Langley: I wish I had the time- but we have already wasted too much of that already. Think of the things that we could have accomplished of real value instead of this academic exercise – nonetheless I wish you the best until we meet again and perhaps at that time you might bring up any questions that are still transmitting themselves around in your brain- through the synapses and dopamine receptors, although perhaps over the next few days they will run out of energy and even disappear. One can only hope! This entry was posted in Modernists, Science, Socrates and tagged brain, dopamine receptors, Duane Berquist, neurons, Socrates. Bookmark the permalink. I love the picture of David Suchet!